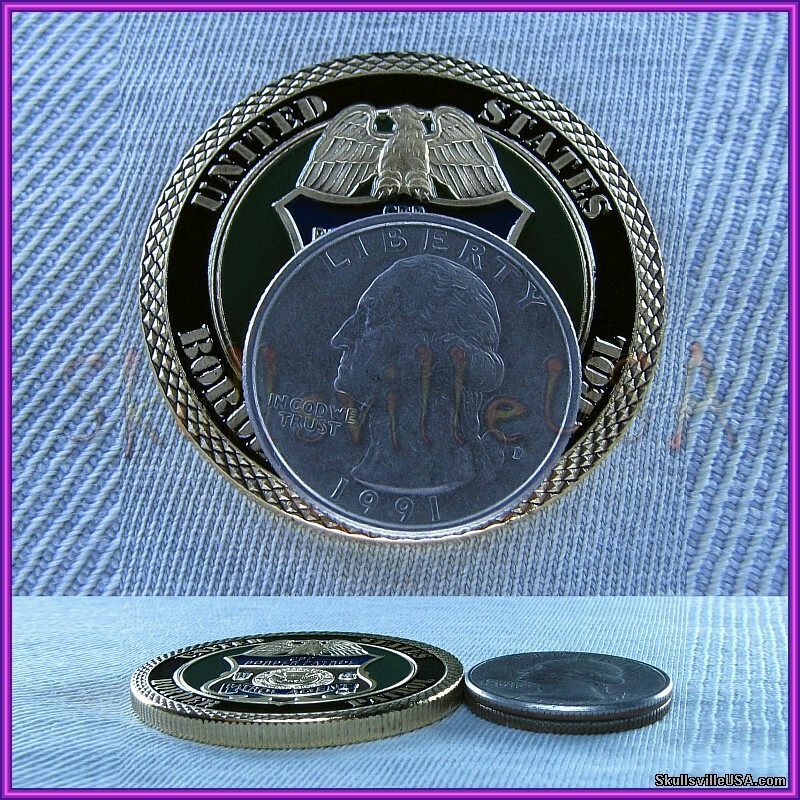 A challenge coin is a coin bearing an organization’s motto and insignia. 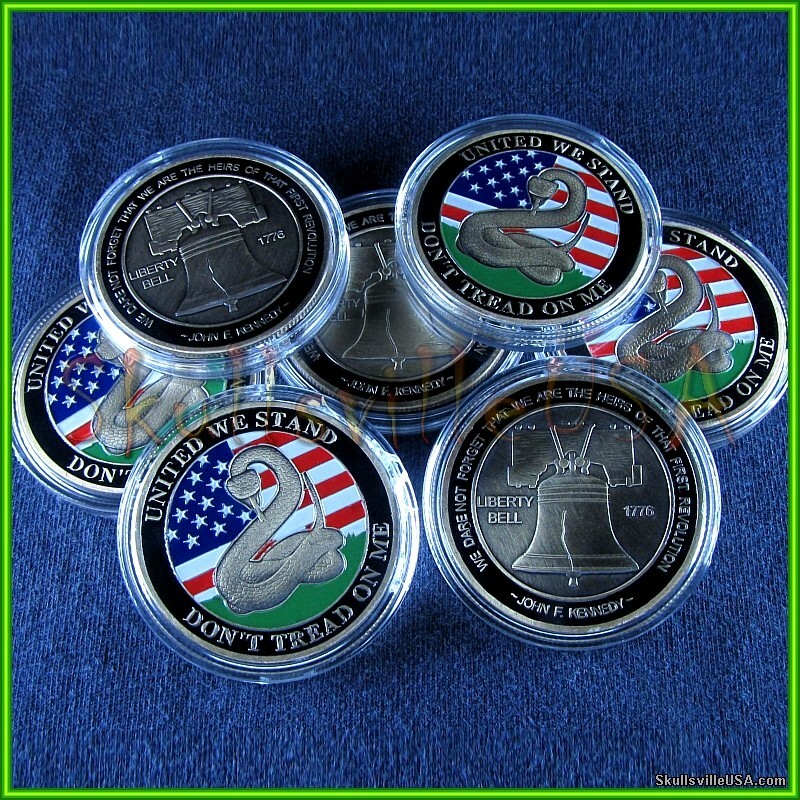 to prove membership when challenged. 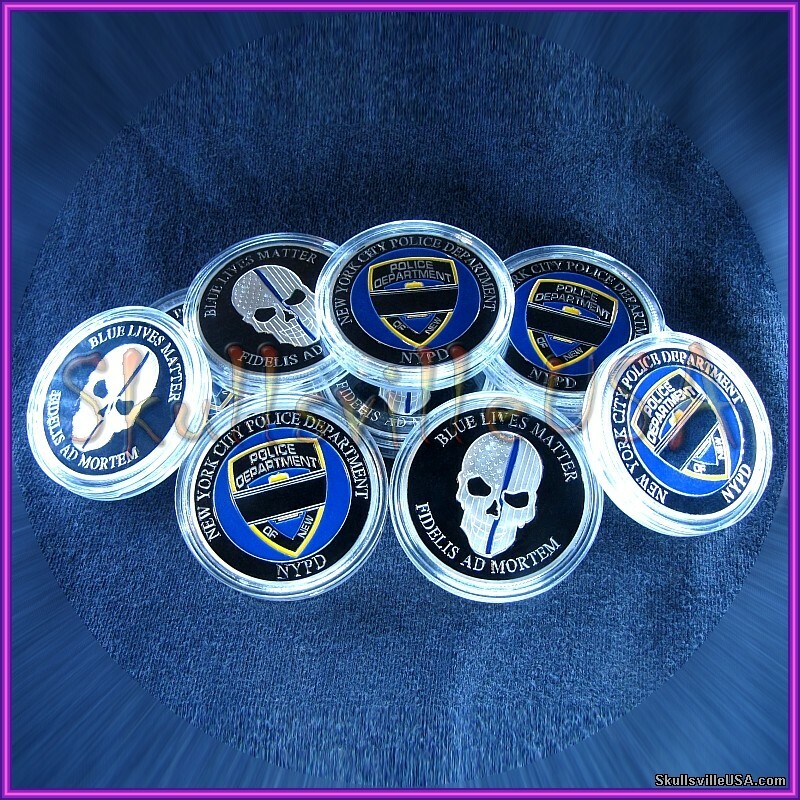 They also serve to boost morale. 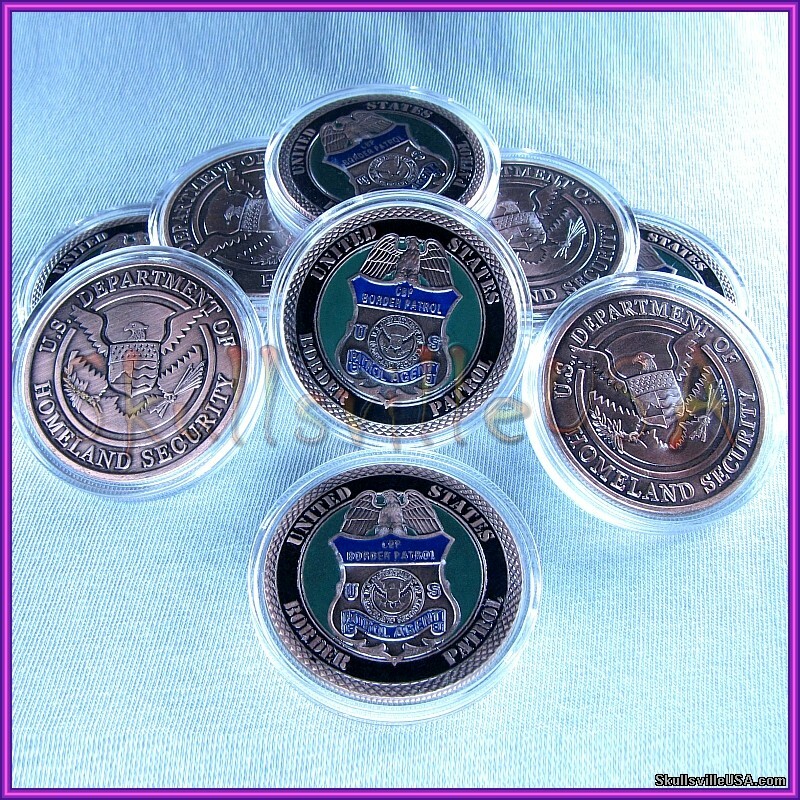 Challenge coins are often given in recognition of special achievement. and will make those who own them feel... just plain good. 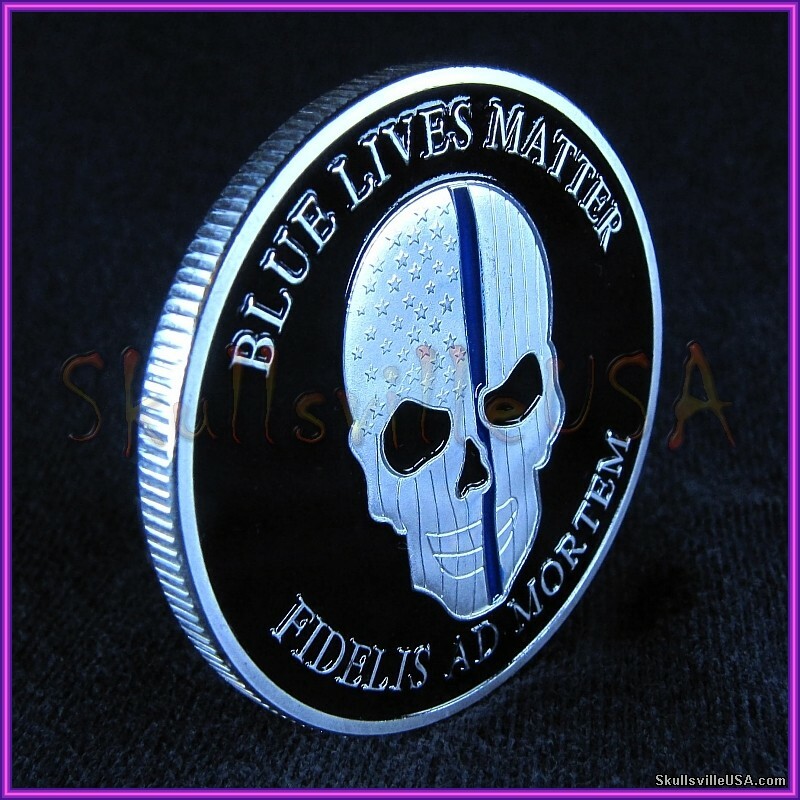 This challenge coin shows that you're ready to stand up for what you believe in. 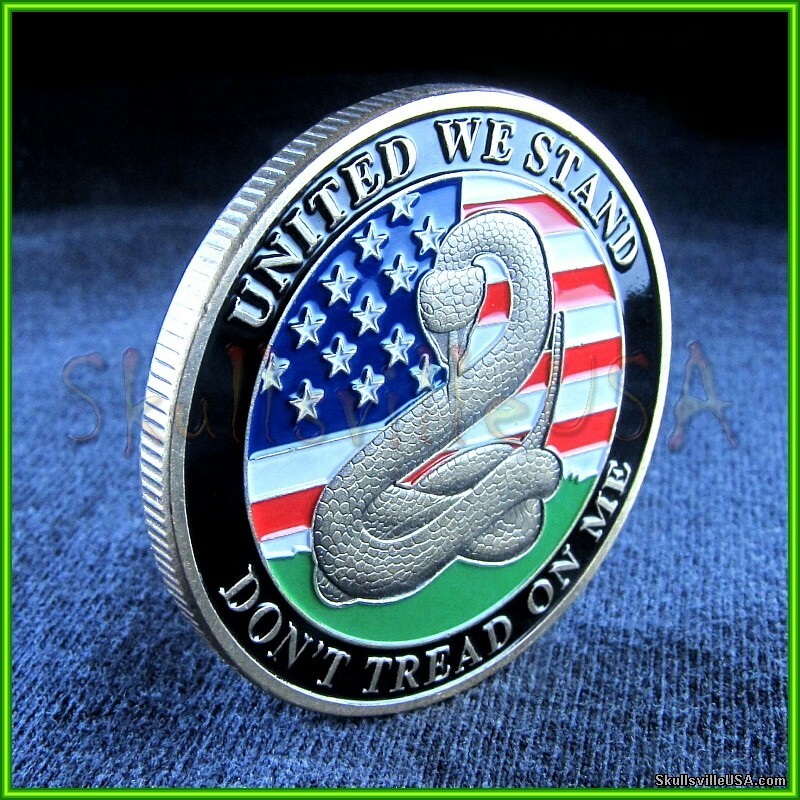 and is perfect for any patriot. 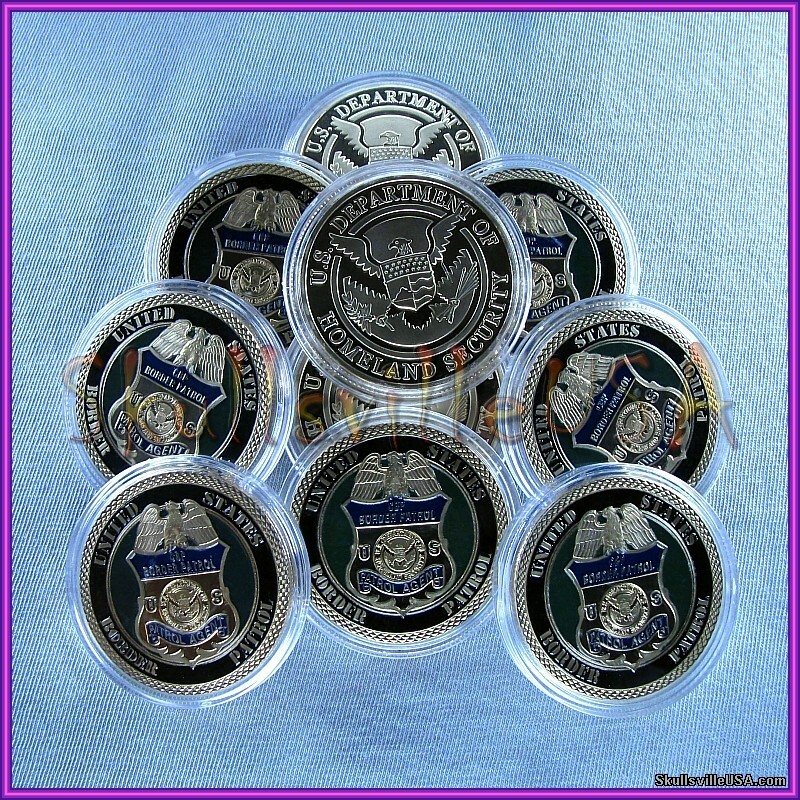 It would also make an exceptional addition to any coin collection! 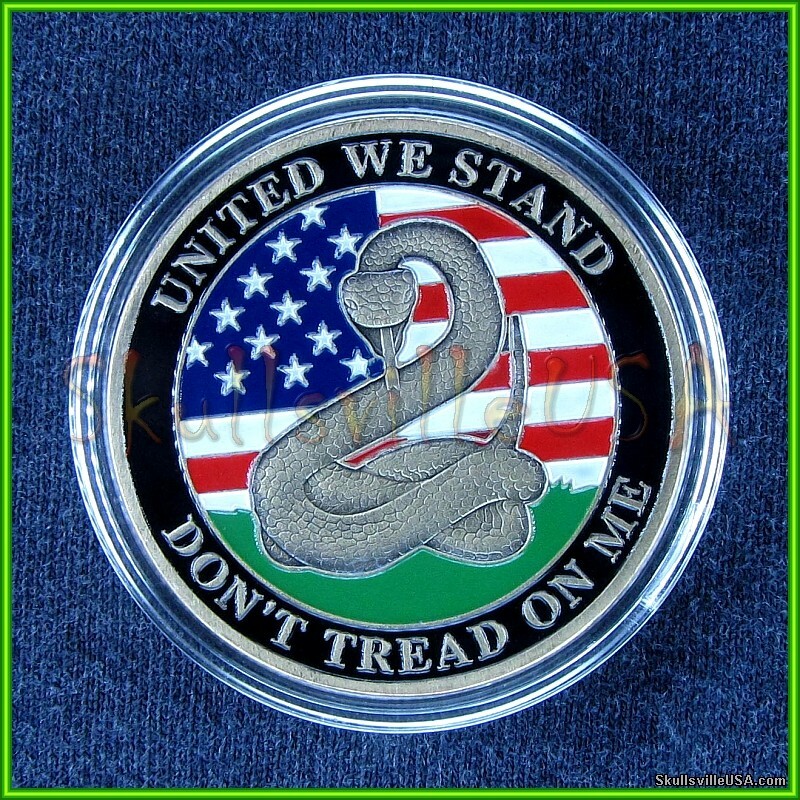 framed with the words "United We Stand" and "Don't Tread On Me." first U.S. naval jack flown in the earliest years of the republic. 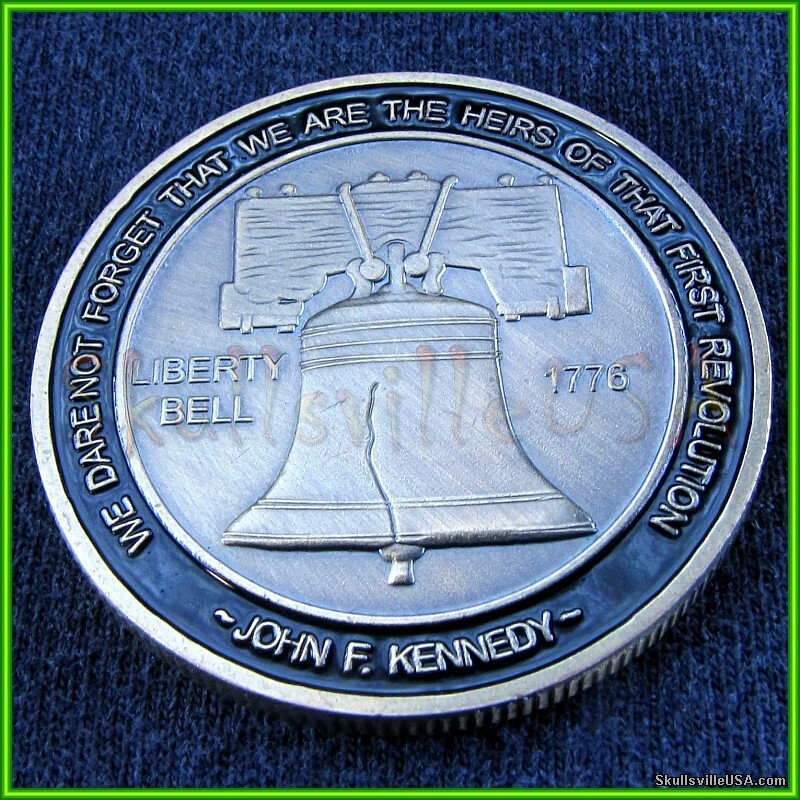 surrounded by an enameled quote from John F. Kennedy. 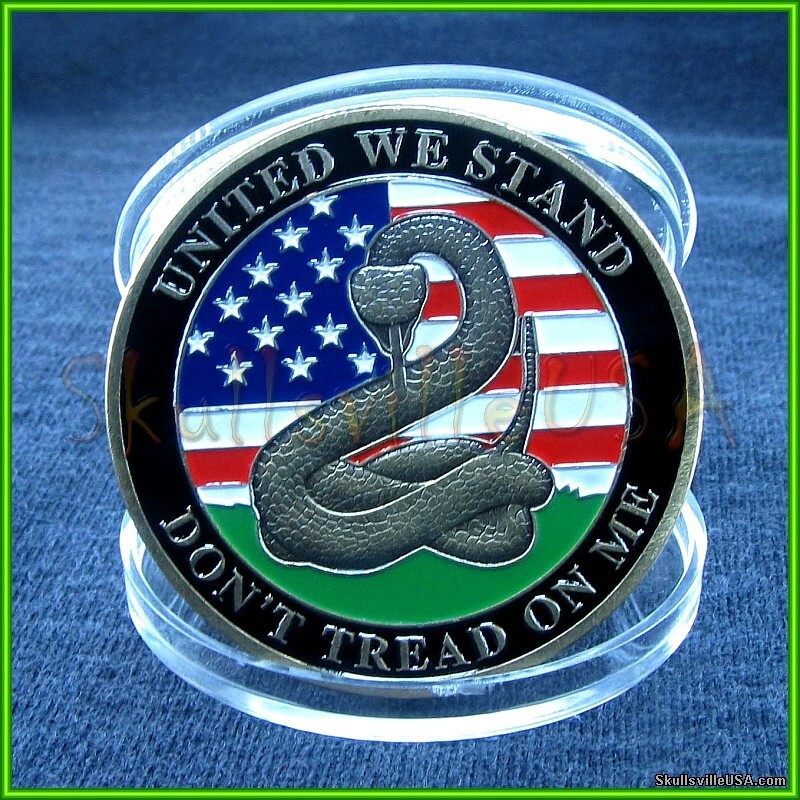 "We dare not forget that we are the heirs of that first revolution"
Just over 1 1⁄2 inches wide. 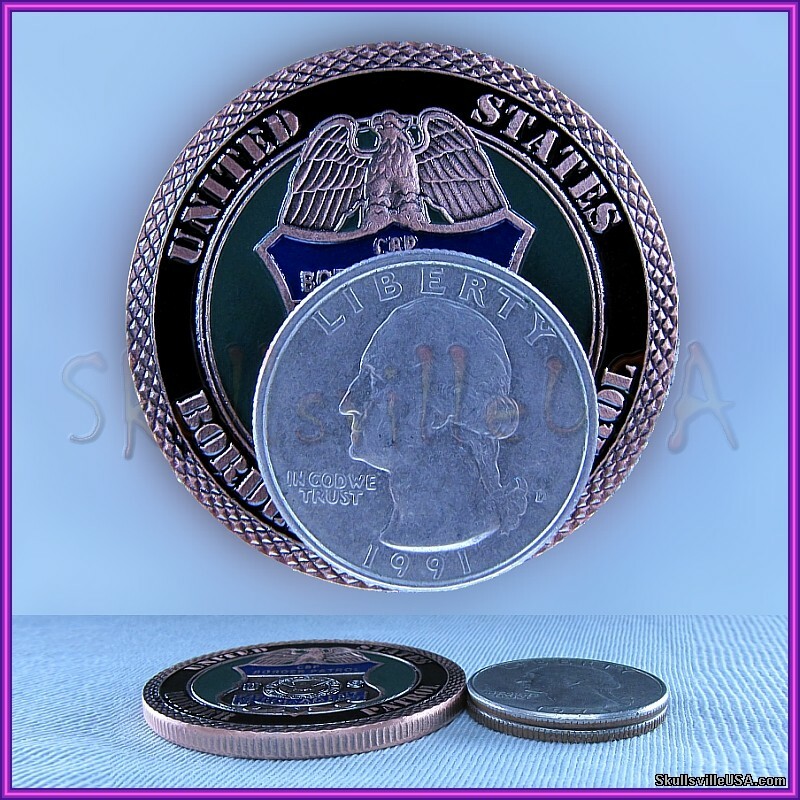 About 3.25mm thick (about as thick as 2 stacked U.S. quarters). 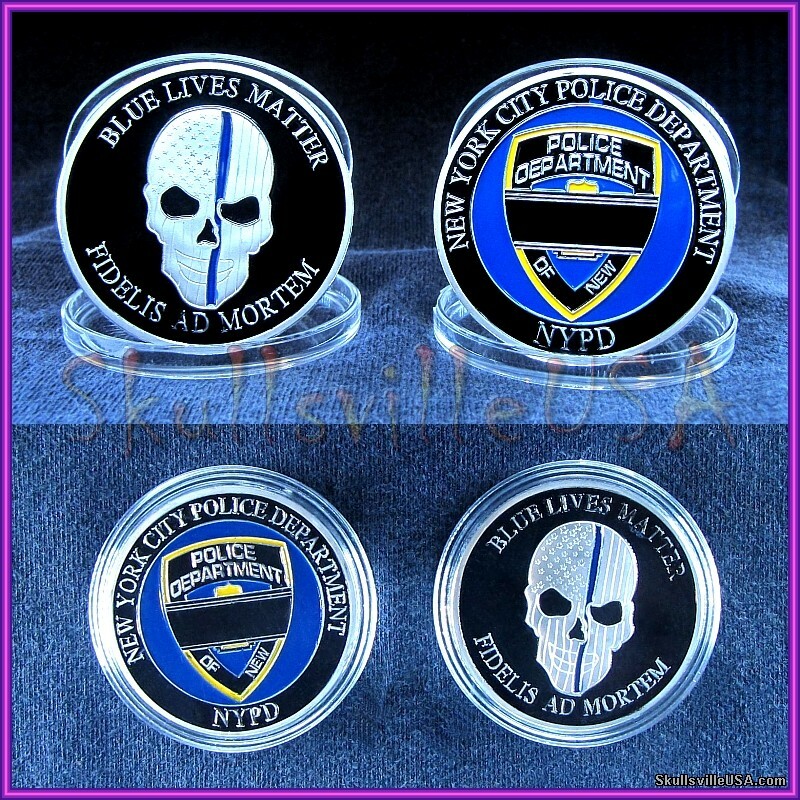 "New York City Police Department" & "NYPD"
"Blue Lives Matter" & "Fidelis Ad Mortem"
frame a skull with an American flag design and a thin blue line. 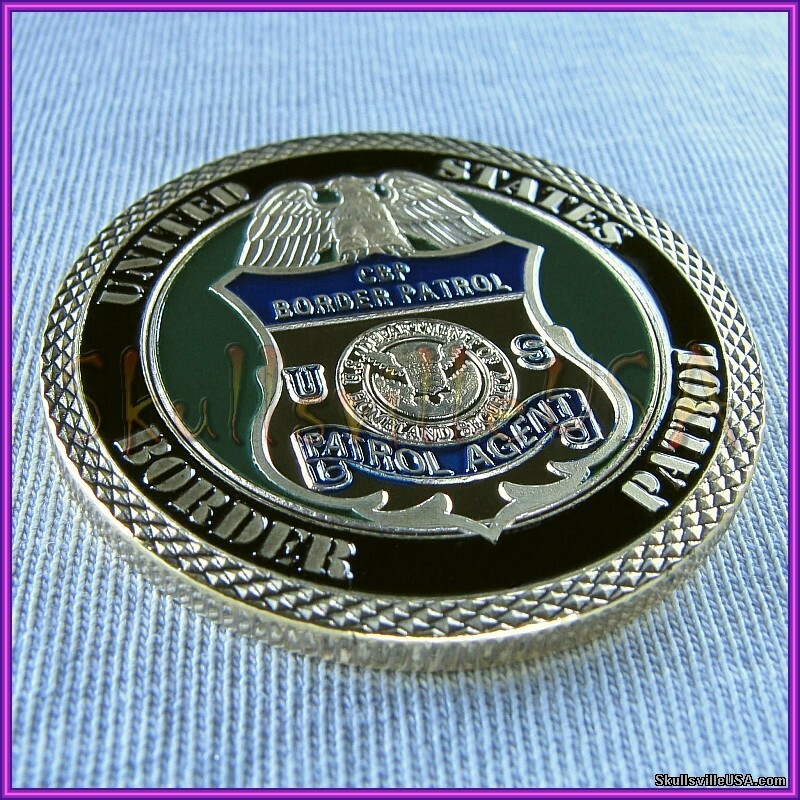 This beautiful challenge coin is enamel embellished. 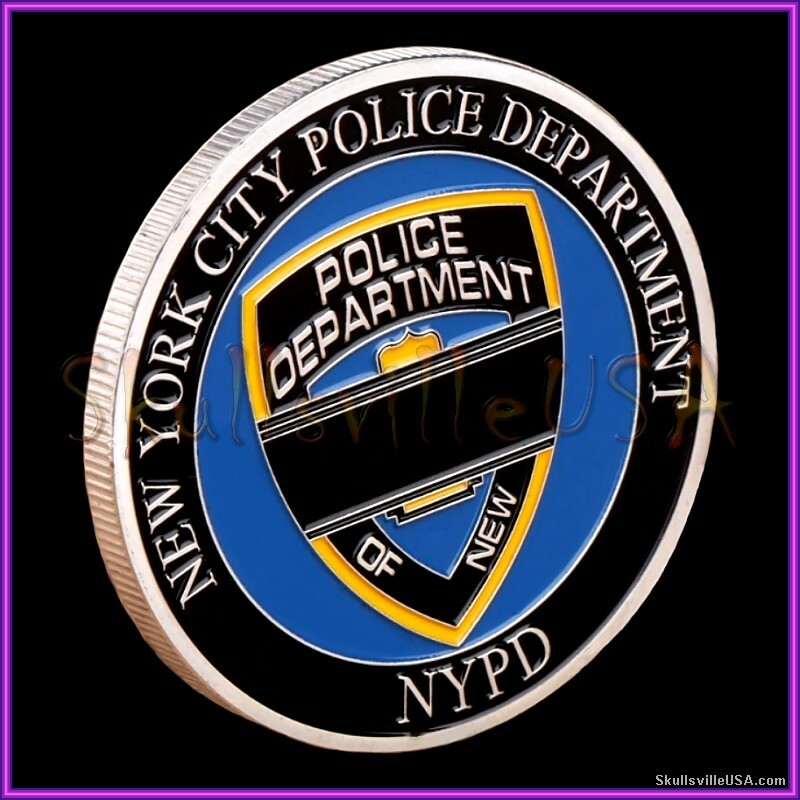 within the five boroughs of New York City. 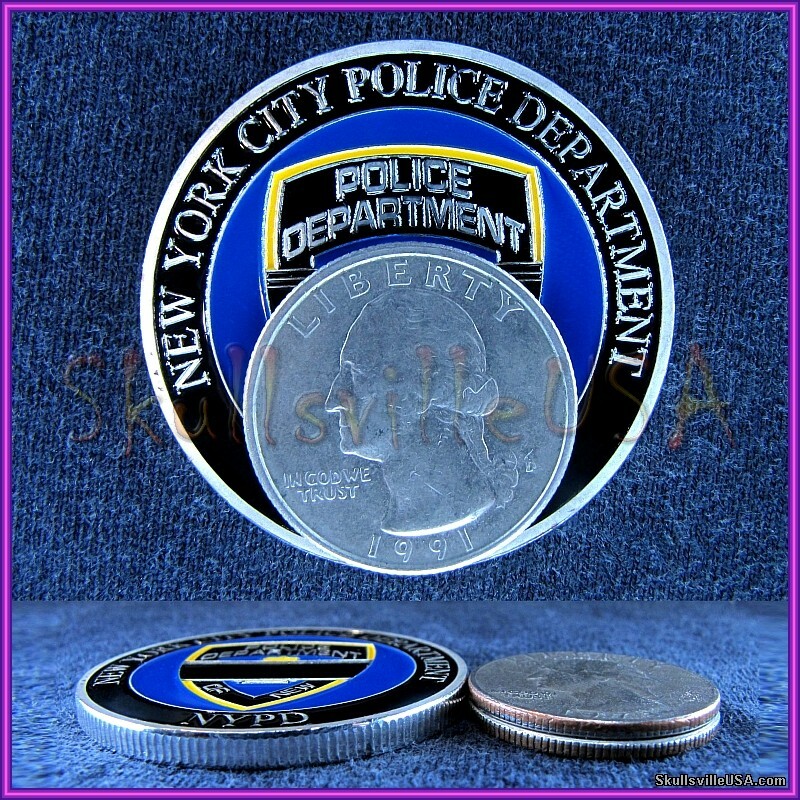 the NYPD is the largest police force in the United States. 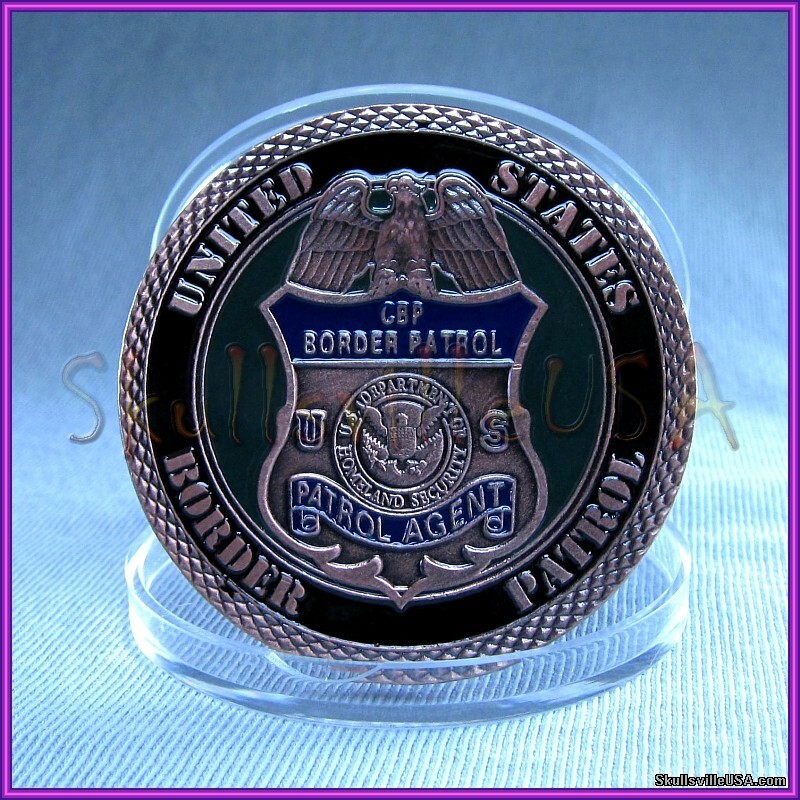 Beautifully enameled, gold finished challenge coin! 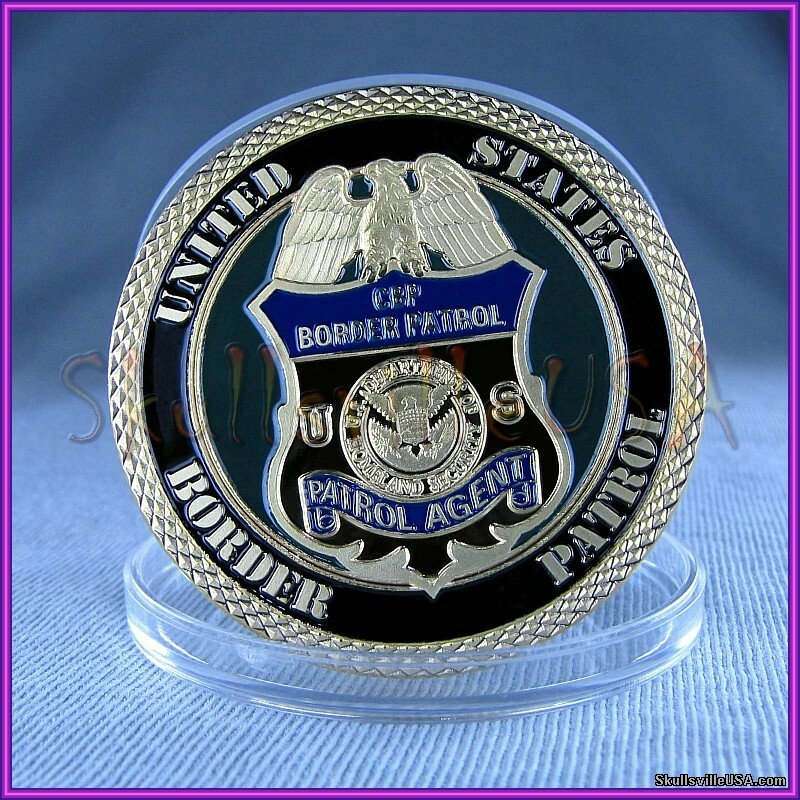 the enforcement shield which says CBP Border Patrol & US Patrol Agent. 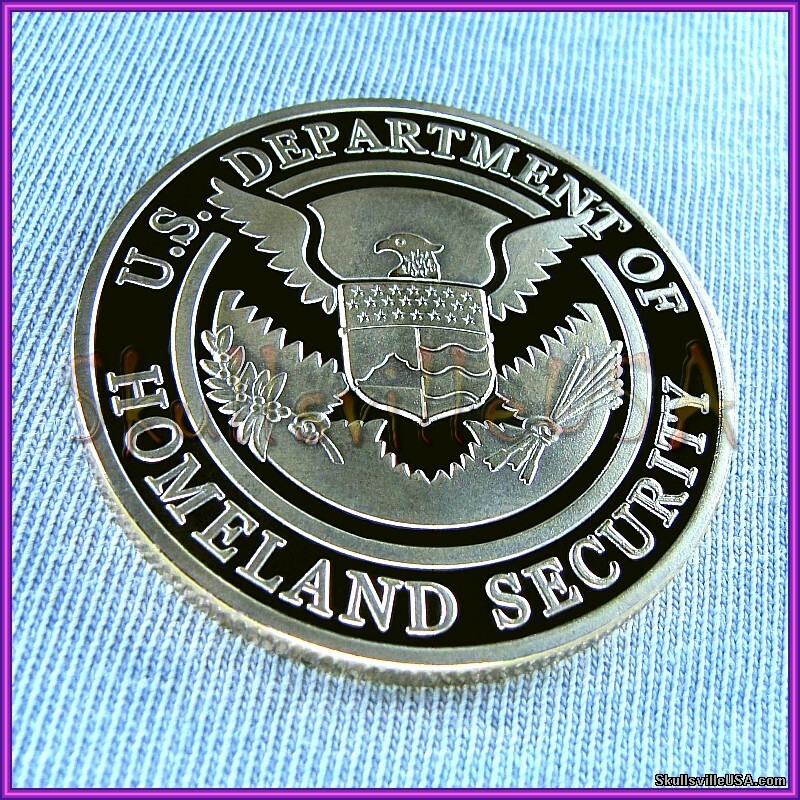 the U.S. Department Of Homeland Security logo. Both sides have lots of detail and lots of depth. 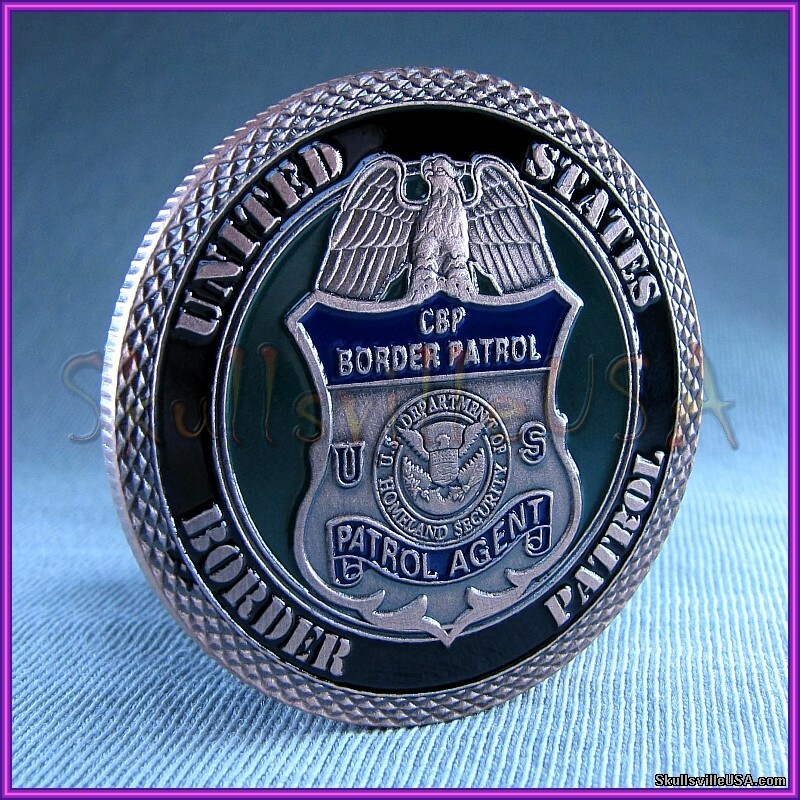 and is charged with keeping terrorists and their weapons out of the U.S.
while facilitating lawful international travel and trade. 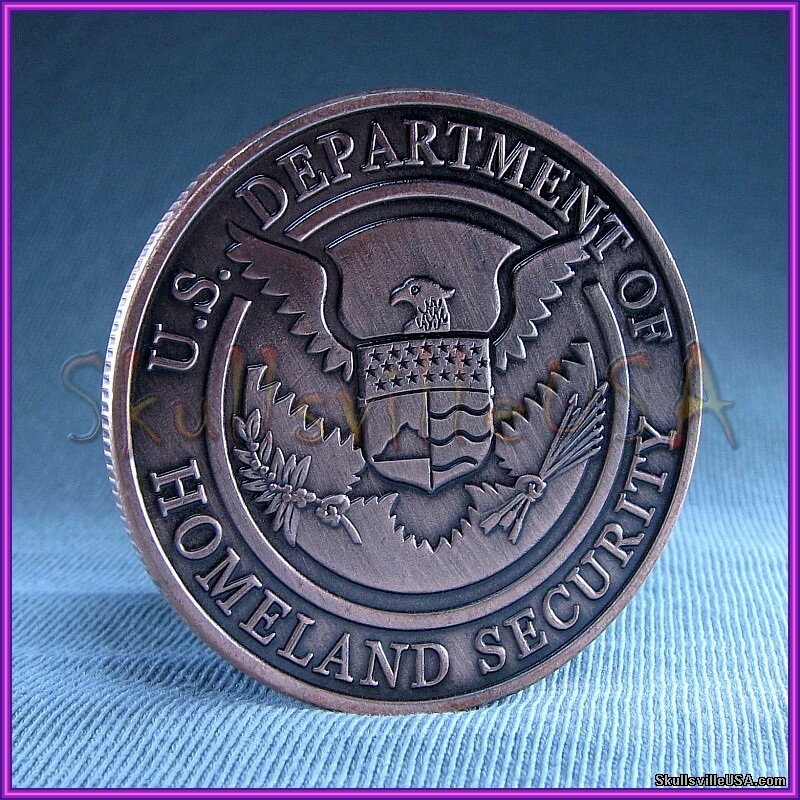 Beautifully enameled, copper finished challenge coin!